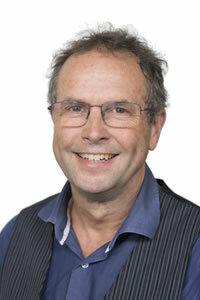 Dr James Brown, OAM, heads the EV research team. James has a clinical and educational background and has been involved in GP educational research since 2011. During this time he has led 11 research projects which have informed educational development and delivery in GP vocational training including the output of 12 publications to date. His research activity is largely qualitative with a particular emphasis on in-practice training. He is currently completing a PhD in the GP supervisory relationship. His aspiration is to link scholarship with practice in GP vocational education. James has attracted over $2m of funded research over the last five years. Click here for a summary of these projects. Dr Neil Spike is the Director of Training at EV and a Professorial Fellow at Department of General Practice, Faculty of Medicine, Dentistry and Science, The University of Melbourne. He has been involved in medical education full-time since 1992 and has developed nationally and internationally recognised expertise in curriculum development, program evaluation and the assessment of clinical competence at the undergraduate and postgraduate level. 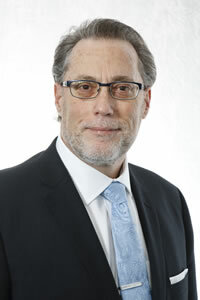 In his current role and previous roles with RACGP, AMC, DGP at Monash University he has been engaged in research with over 70 publications across a wide range of areas including the assessment of clinical competence, the clinical activities of registrars during GP training, issues relating to international medical graduates and health system effects on the care of children and adolescents. Neil is a Recipient of the Rose-Hunt Award (2003). The Rose Hunt Award is the highest accolade awarded by The Royal Australian College of General Practitioners. It is made to any Fellow or Member who, in the opinion of the Council, has rendered outstanding service in the promotion of the aims and objectives of the College, either by individual patient care, organisation, education, research or any other means. 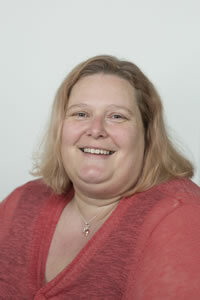 Dr Belinda Garth is a Research and Quality Assurance Advisor at EV and has worked in the GP training sector since 2014. In that time she has engaged in research projects which have informed educational development and delivery in GP vocational training; two of which she has led as the senior researcher, and have informed professional development of GP supervisors. Belinda has a background in public health and qualitative research. She has a Bachelor of Health Science (Hons) and a PhD from La Trobe University, and has been an Associate Editor for BMC Geriatrics. Belinda is currently an adjunct senior lecturer at the School of Rural Health, Monash University. 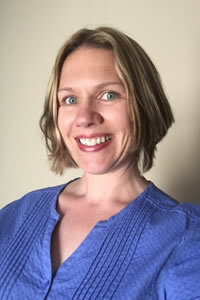 While taking a number of years off to have three children who are now school age, Belinda collaborated on research projects within the Department of General Practice at the University of Melbourne, as well as the University of Sydney, and Charles Drew University of Medicine & Science in Los Angeles, USA. These projects centred on paediatric disability, engagement in health care of people with HIV/AIDS, health information technology, general practice and medical education. Dr Cat Kirby is a Research and Quality Assurance Advisor at EV. Cat is an interdisciplinary researcher with over 20 years of research experience across the fields of general practice, psychology, education, nursing and midwifery. Cat has been engaged in medical education research with EV, and previously with Southern GP Training, since 2014. Prior to this, Cat undertook GP educational research and professional development with Monash University, with a special interest in psychosocial aspects of men’s sexual and reproductive health. Cat has a PhD in psychology, and is a self-confessed data geek with expertise in both quantitative and qualitative research methods. Cat seeks to draw on knowledge, ideas and expertise from across disciplines and countries to further inform and enhance Australian GP vocational training and education.